Mold in the home can be a challenging issue and is something a homeowner should promptly address. If left unchecked, it can cause damage to the home that can be costly to resolve. Mold can also cause some serious health symptoms and problems. Take signs of mold seriously when you first notice them. Here is a brief overview of mold in the home and what to do about it. Some telltale signs indicate that your home might have a mold problem. For example, if you notice a musty odor anywhere in your home, there might be mold. If there is visible mold such as blackish or brownish splotches and spots, that is another likely sign. However, sometimes mold is lurking behind walls or carpet and is not visible on any surfaces. Do not try to figure out on your own whether your home has mold. A professional mold inspector is the best one to properly assess whether the signs of mold you notice are indeed caused by a mold problem. Mold needs moisture to thrive, and when a building has experienced water damage, the environment is right for mold growth. Clean up any spills and water in the home immediately. Run exhaust fans whenever you use the shower or bath and when you are cooking in the kitchen. If you are in a very humid climate, you may need to invest in a dehumidifier. Have a professional inspect water pipes and plumbing for possible leaks. Make sure all doors and windows are properly sealed so no water can come in through those areas. Find out if you have any roof leaks or damage because the roof is a key entry point for mold developing in a home. Unfortunately, mold can cause some serious health problems and symptoms. These include digestive issues, sneezing, stuffy nose, itchy eyes, sinus problems, asthma and other breathing problems, skin symptoms like rashes, fatigue, dizziness, nausea, hormonal problems, hair loss and more. Mold also causes a range of brain-related symptoms, such as depression, anxiety, other mood issues, headaches, brain fog, and irritability. 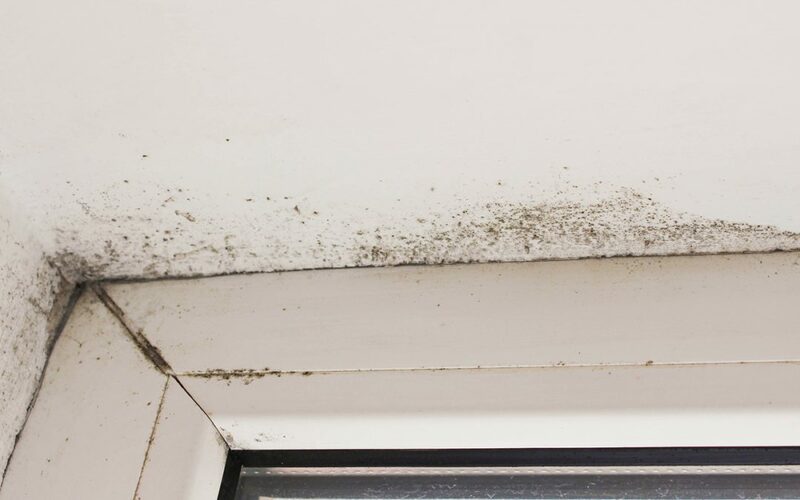 If you or anyone in your home is experiencing any of those symptoms at the same time that you are noticing signs of mold in your home, that could point to mold being a problem. If you suspect there are signs of mold in your home, there are certain steps you need to take right away. One of the key actions involves assessing the issue. You need to contact a professional home mold inspector who can determine whether there is mold in the home and determine the extent of the problem. The mold inspector who completes an assessment on your home will discuss the results of the mold inspection with you and can advise you on the next steps to take. Let them know if you have any questions or concerns about the inspection or assessment. There is a lot to learn about mold, and it is common to have questions. Are you concerned about any signs of mold in your home? If you are in northern New Jersey, contact HomeVantage Home Services to schedule a mold inspection or any of our other inspection services.